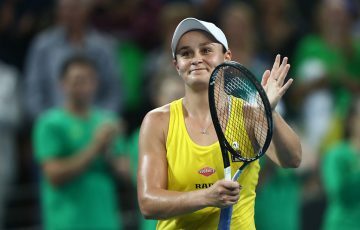 Alex De Minaur begins his Next Gen ATP Finals campaign on the perfect note with a dominant win over Italy's Liam Caruana on Tuesday. 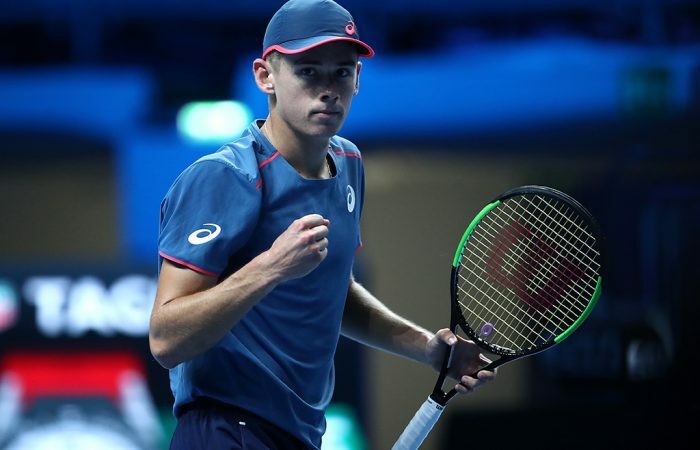 Alex de Minaur cruised to a straight-sets win over Italian wildcard entrant Liam Caruana in his opening group match at the Next Gen ATP Finals. 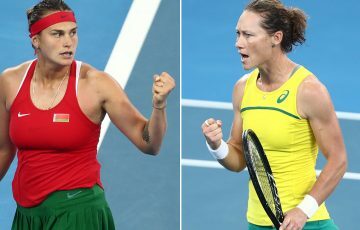 The Australian second seed required just 55 minutes on Tuesday to record a 4-1 4-1 4-2 victory over an opponent ranked almost 600 places below him. 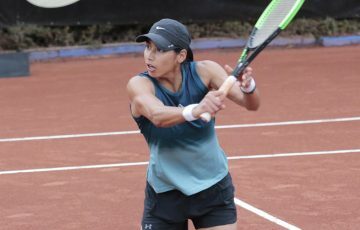 It is reportedly the quickest ever match victory at the event, which debuted last year in Milan. 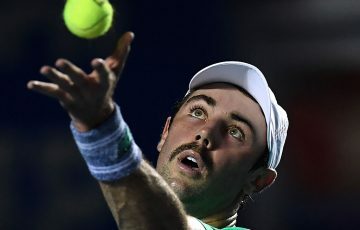 De Minaur, who at 19 is the youngest competitor in the eight-player field, next plays Andrey Rublev. 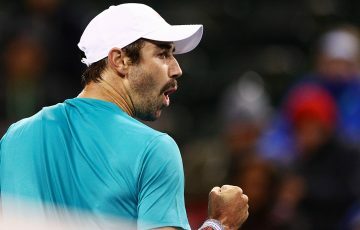 Should he beat the Russian – whom he toppled in an epic in the Washington DC semifinals earlier this year – in either three or four sets, he guarantees himself a place in the semifinals. “It was fun. 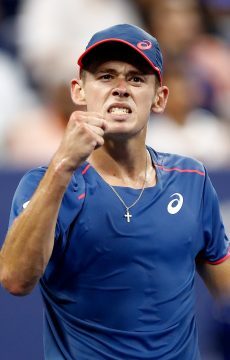 The whole week I was really looking forward to playing with this new format and it was great,” De Minaur told atpworldtour.com. 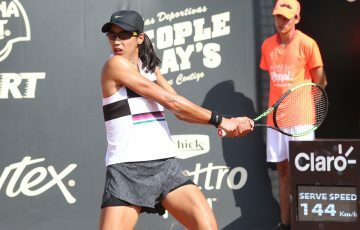 Top seed Stefanos Tsitsipas, last year’s finalist Andrey Rublev and American Frances Tiafoe were the other winners on the opening day of the round-robin tournament between the world’s best 21-and-under players.